BSE 3D provides an end-to-end service for owners and developers to support them from initial planning, through detailed design, to construction and fit-out to embrace a whole-life approach to building engineering and energy management, as is proven in our approach for the Tower Hotel. Our use of 3D thermal modelling, 3D drawing skills both combined with our practical knowledge has created a well thought-out building that meets the rising standards of sustainability and achieves the client’s commercial objectives. 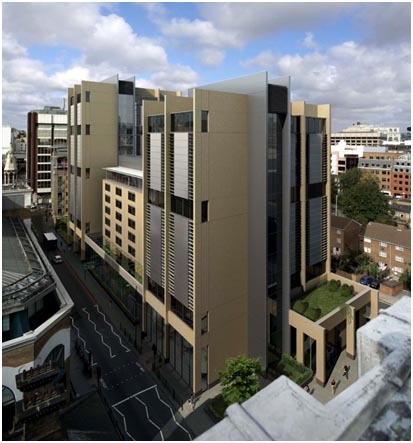 Our engineers created the design for the Mechanical, Electrical and Public Health Services for this 4 Star luxury hotel. We have produced and managed the design from the initial client’s brief, through the design process, before finally producing fully coordinated 3D working drawings ready for construction on site. The use of sustainable technologies such as Combined Heat and Power, Variable Refrigerant Flow Heat Pumps and Energy reclaim systems has reduced the energy footprint of the development by 30%, when compared to a new traditionally built facility. 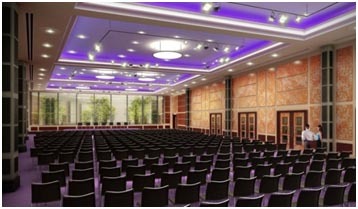 The hotel is now complete and is one of the most energy efficient hotels in London comprising 372 bedrooms together with swimming pool & Ajala Spa, feature Tower and Grill restaurant, Knights bar and conference facilities including the large 750 person Trinity conference room. Contact us today by filling in the form below for more information on the services we provide.